One of the major reasons I left my birth religion was the way women were treated as less than men. As a strong minded female, I resented (and still do) the message that women are good for nothing more than serving men and bearing children. I didn’t leave because of what Jesus (Yeshua/Easa/Isa) taught, but because of what the Roman Catholic Church taught. Some years later I read information about how Mary Magdalene was actually the wife of Jesus. This highly contested information was hidden and repressed for various reasons. I always found the concept fascinating. I read The Woman with the Alabaster Jar: Mary Magdalen and the Holy Grail by Margaret Starbird, a nun who originally set out to refute this claim but instead found evidence to support it. So while I am a polytheist/pagan, I’ve always kept an eye out for literature along this line. It interests me. If the relationship of Jesus and Mary Magdalene had remained a part of the official canon of the Church, I probably would have never left. So my interest caused me to unknowingly pick up the second book of a series, The Book of Love by Kathleen McGowan. Once I realized it was the second book, I made sure to purchase the first book, The Expected One. It did not disappoint. Not so much for the storyline which is reminiscent of Dan Brown’s The Da Vinci Code (which I enjoyed for the twists and turns), but the story within the story. 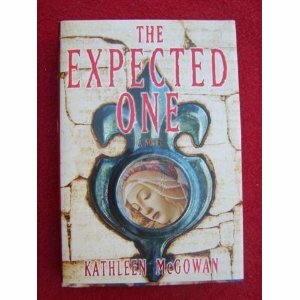 McGowan writes the tale of Jesus from his wife’s viewpoint and a very powerful tale it is. It explains a lot of the questions I had over the years about the traditional gospel accounts. The book is worth its price for this tale alone. The story skips between Mary Magdalene’s writing and Maureen Pascal, author and journalist, as she does research and tours for a book. Maureen’s travels pull her into the mystical culture of Southwestern France. She and her companions unravel clues from paintings and her visions until the lost gospel of Mary Magdalene is found. This journey changes her life and her understanding of everything she thought she knew. The tale of Jesus is not unlike his parables or Pagan myths. The myths were retold in countless ways with many layers of meaning. I see this tale in the same light. Leaving aside the issues of whether Jesus was actually the biological son of God (as opposed to the general nature of mortals all being the children of God/Gods) and the resurrection (or hero deification as the Greeks did it), I find the gospel within this book to be a story of love, tolerance and forgiveness that is still applicable in modern times. It is more powerful than the Church sanctioned tale because it is a more balanced, more realistic telling. As always, “your mileage may vary”.